Dr. O’Reilly’s involvement with the CTSI began when his research was becoming translational. He says he saw the opportunity to use the CTSI’s resources in order to help move his research forward. At the time the Laboratory Support RFA was announced, Dr. O’Reilly was considering doing microarrays using the Functional Genomics Center. His lab had done one set of microarrays, but they were very expensive. Dr. O’Reilly says using the core facilities with the CTSI’s laboratory support allowed him to complete those studies. Research Focus: Why do children born prematurely have increased risk for respiratory viral infections? Dr. O’Reilly’s research is focused on trying to understand why children born prematurely have increased risk for respiratory viral infections. One of the biggest issues of premature birth is that the lung is not ready to breathe the air the child is exposed to when born. When this happens, the child must be given extra oxygen in order to survive. The combination of the room air and the extra oxygen causes the lung to develop abnormally, which renders it unable to deal well with respiratory viruses. Treating the effects of premature birth is a life-long process. There are repeated doctor visits, hospitalizations, and the complications of dealing with disorders or diseases like asthma or Bronchopulmonary Dysplasia, a chronic form of lung disease frequently seen in preterm infants with very low birth weight. In 2005, the National Heart Lung Blood Institute (NHLBI) estimated the annual financial cost of treating prematurity to be $26.2 billion. $2.5 billion of that total was designated to treating Bronchopulmonary Dysplasia, which requires supplemental oxygen treatment in premature babies. Dr. O’Reilly says these treatments, as well as other therapies like vaccines, are similar to giving eyeglasses to people who have difficulty seeing. “It helps, but it hasn’t really solved the disease – it has just attenuated the disease,” he said. In order to develop therapies to improve the long-term health of children born prematurely, Dr. O’Reilly says he first needs to understand why being born prematurely affects the lung’s ability to properly protect against infection. This was the goal of the project funded by the Laboratory Support Center Award. Dr. O’Reilly’s project focused on identifying genes that were differently expressed in two populations of cells, where one of those populations was depleted in lungs that had been exposed to high levels of oxygen. Dr. O’Reilly says he needed to know what these cells made because it could indicate what was deficient in the lung. In order to determine this, Dr. O’Reilly isolated the two populations of cells and ran gene arrays on each. By looking for the expression of every gene in these cells and comparing them to each other, he found that only 0.5% of all the genes were differently expressed in both populations. Dr. O’Reilly said he targeted a set of these genes and attempted to find relevance in an experimental mouse model that examined how oxygen made the lung more sensitive to infection with respiratory viruses like influenza. He studied two groups of mice: mice born into room air and mice that were given high oxygen at birth. After allowing the mice to grow up, he gave them respiratory viruses. He found that the mice born into room air became sick and then recovered, but the mice who were given high oxygen at birth became sicker than the first group and did not recover as efficiently. After further study, Dr. O’Reilly determined that the depleted cell population was not only missing in the mice exposed to high oxygen, but that those cells actually made an antiviral gene that blocked viral replications. Dr. O’Reilly and a colleague then developed a tool that delivers the depleted gene back into the lung. As a result, it is possible to restore high level expression of this gene, essentially replacing what the cell was supposed to be producing. This study was recently finished and is about to be sent out for peer review. Dr. O’Reilly says the next step in his research is to try to understand a spectrum of disorders associated with prematurity and oxygen exposure. It is well known that children born prematurely have deficits in lung and immune function, difficulty dealing with respiratory viruses, and increased risk for asthma. However, recent studies in Australia have shown that children born prematurely have high risk for high blood pressure as well. Other studies show an increased risk for retinopathy, and also neurodevelopmental delay, which often requires children to have extra assistance in the classroom. Dr. O’Reilly is collaborating with several faculty members in order to gain a better understanding of what causes these disorders. Dr. Deborah Cory-Slechta in Environmental Medicine is studying the cognitive effects of the brain in mice exposed to high oxygen at birth. She has concluded that these mice have deficits in locomotor activity, which suggests that their brains might be wired differently. In addition, Dr. Paige Lawrence in Environmental Medicine has helped Dr. O’Reilly develop the influenza model. Furthermore, Dr. David Dean in Pediatrics and Neonatology has developed a novel method to restore gene expression in the lungs of mice. Dr. O’Reilly is also working with researchers interested in fibrosis because the cells he has identified may play a role in protecting against this scarring disorder. “Essentially, it’s been able to open up a lot of doors for us by identifying this set of genes in this small population of cells,” he said of the collaborations. The joint efforts have also led to additional funding. The preliminary data generated from the research supported by the Laboratory Support Center Award led to an individual research grant (R01) from the NIH. The R01 allows the O’Reilly Lab to move forward with the studies on how oxygen affects the aforementioned small population of cells. In addition, Dr. O’Reilly and Dr. Paige Lawrence received a second R01 to study the antiviral properties of this gene (which supports Dr. Lawrence’s interest in studying flu). Dr. O’Reilly says going from the bench to the bedside keeps him true to form because he can ask if what he is studying will indeed have impact in humans. For instance, his interactions with colleagues in the Department of Environmental Medicine have posed the question of whether children born in major cities with higher levels of urban pollution will be more or less at risk to disorders associated with prematurity. He says he can also walk into a basic science department like Biochemistry and ask researchers studying DNA damage and repair how oxygen affects DNA, if cells respond to damage in DNA because of oxygen, and if that is causing the changes seen in the lung. Dr. Nina Schor, Chair of the Department of Pediatrics, agrees. She says the CTSI has changed the culture of the University of Rochester Medical Center. Dr. O’Reilly’s interest in studying prematurity began during his training in the 1980’s. His mentor was interested in surfactant, which is a protein lipid mixture made by the lung. Surfactant allows the lung to open and expand more readily and deliver oxygen more efficiently. Dr. O’Reilly says the research to which he and thousands of other contributed led to the development of therapies which now serve as standard of care for babies born prematurely: they receive reduced levels of oxygen, milder ventilation, and are treated with surfactant. “20 years later, I’m a scientist studying how cells respond to oxygen – the same oxygen we worry about because we still have to give oxygen to these preemies – and my son, Thomas, was born prematurely by about seven weeks,” Dr. O’Reilly said. Thomas was treated in the NICU at Strong Memorial Hospital by Dr. O’Reilly’s colleagues who also study surfactant biology. Fortunately, Thomas did not need high levels of oxygen or excess surfactant. As a result, Dr. O’Reilly then decided to move his research in the direction of neonatal oxygen exposure. His focus is on how oxygen in the early stages of lung development can permanently reprogram how the lung and other organs function late in life. Dr. O’Reilly’s second child, Kathryn, was also born prematurely. As part of the CTSI Mentoring Program, Dr. O’Keefe has served as a mentor to students in the TL1 Pre-doctoral Training Program and the KL2 Career Development Program. He has had the opportunity to work with four individuals: Matthew Brown (TL1, 2011-2012), Roman Eliseev (KL2, 2010-2012), Evan Katzel (TL1, 2007-2008), and Sirish Kondabalu (TL1, 2010-2011). Dr. O’Keefe says being a mentor is one of the great privileges he has as a scientist. As a philosophy and religious studies major at Yale University, Dr. O’Keefe took only the minimum science requirements to enter medical school. He says the world of science opened up to him when he enrolled at Harvard Medical School and saw the personal benefits of taking care of patients with diseases. “It was very important for me at that time to do something to contribute to the field of medicine,” he said. Dr. O’Keefe then began doing research with his first mentor, Dr. John Powell, a cardiovascular physiologist at Massachusetts General Hospital. He says this experience in the lab was unique because he was assigned his own project; he knew the work he was doing was significant because it added new information to the field. According to Dr. O’Keefe, one of the challenges in becoming successful as a scientist today is that trainees often do not have the opportunity to do hands-on experiments. Now, as he serves as a mentor to young students, he draws on his first, key experience in the lab. Nearly all the work he does is in collaboration with trainees, and he strives to ensure that his students feel an ownership of their projects and the discovery involved with the work. He says this is essential in creating a successful team. Dr. O’Keefe says the CTSI Mentoring Program has helped him become a better mentor, yet he has received more from his protégés than he’s given. In addition to its benefits at the individual level, Dr. O’Keefe says the CTSI’s Mentoring Program has also created a style of work that influences all URMC research centers and departments, including the Center for Musculoskeletal Research. Click here for a video of Dr. O’Keefe explaining the privileges of being part of a mentoring relationship. ResearchMatch is a secure, free, web-based matching tool which helps connect researchers and prospective study volunteers. This nationwide, volunteer registry is funded by the National Institutes of Health and managed by Vanderbilt University. Under the Clinical and Translational Science Award consortium collaboration, the University of Rochester is one of 67 institutions utilizing ResearchMatch. Researchers are encouraged to register their IRB-approved studies on the ResearchMatch website and then search for volunteers based on their study criteria. Information for investigators using ResearchMatch at the University of Rochester can be found here. Vanderbilt University offers ResearchMatch training sessions for investigators. Needler says she highly recommends taking advantage of the training opportunities to learn tricks and tips for the system. For more information about upcoming training sessions, researchers are encouraged to contact the Research Help Desk.. The ResearchMatch registry is open to volunteers of all ages and health conditions in the United States. Individuals are instructed to self-register by filling in their name, contact information, health conditions, and medications on the ResearchMatch website. Registration only takes about five minutes. Personal information is protected until the volunteer agrees to take part in a research study. When ResearchMatch matches volunteers with study criteria, the system provides an e-mail link to the researcher, who can then send a secure, IRB-approved recruitment message to prospective participants. If a volunteer agrees to be contacted, ResearchMatch provides the researcher with the individual’s contact information. Volunteers always have the option to decline participation. Vanderbilt University created the MatchMaestro trophy. The University of Rochester CTSI was named the inaugural winner, enrolling 162 study volunteers from September 15, 2011 to December 31, 2011. The trophy was awarded to the University based heavily on the enrollment of Dr. James Dolan and his team in the Department of Public Health Sciences. To read more about the MatchMaestro Award and the University’s success with ResearchMatch, click here. Click here for a video of Nancy explaining ResearchMatch and the MatchMaestro Award. Why Should I Register for ResearchMatch? “Moving research forward, whether it’s a drug, device, biologic, or other types of health research, will help the future treatment of medical conditions.” Needler said. Researchers need study volunteers to determine if the treatments they investigate are successful. Without volunteers, improving our nation’s healthcare would not be possible. Dr. Daniela Geba is a second-year PhD student in the Translational Biomedical Sciences (TBS) program at the University of Rochester Medical Center. Her journey to Rochester – like the innovative TBS program – is unique. After earning her medical degree at the University of Medicine and Pharmacy Gr. 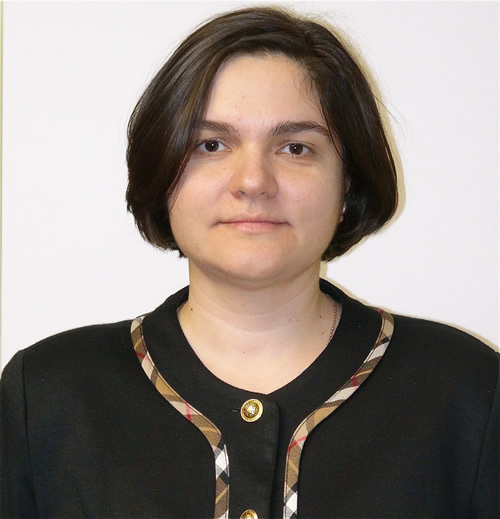 T. Popa, Iasi, Romania, Dr. Geba relocated to the United States, joining her husband, who was earning his PhD in mathematics at Princeton University. During her first several years in the U.S., Dr. Geba put her career on hold to raise the couple’s two daughters and help make the transition from Romania easier. When her daughters got older, she decided to resume her training and pursue her PhD. She then enrolled in an epidemiology program at the University at Buffalo, and later, in the TBS program at URMC. Dr. Geba’s research interest is in the broad area of cardiovascular disease, with a focus on diabetes mellitus. She is currently developing a clinical trial which will compare screening strategies for type 2 diabetes. The Translational Biomedical Sciences program is one of the first of its kind in the nation. This non-traditional PhD program prepares students for careers in academic and clinical settings, emphasizing the adaption of basic biomedical science for clinical practices. The program’s formal curriculum includes skill-building workshops and seminars, research rotations, and a qualifying examination. Students are also encouraged to take advantage of opportunities aimed at developing skills in grant and manuscript writing, teaching, and in presenting their research. TBS students may pursue a course of study in either basic research or clinical research, but have exposure to both fields. Dr. Geba says the interdepartmental focus of the program is one of the primary reasons it is unique. Students’ thesis committees consist of faculty members who have expertise in basic science research and those who specialize in clinical research. Dr. Geba says the greatest factor contributing to her success in the TBS program is the interaction she has with its faculty. With an emphasis on interdepartmental collaboration, the program encourages students to work with faculty members who will contribute in unique ways to their development as well-rounded scientists. Dr. Geba says she and her fellow students receive invaluable support from the leadership of the program, which includes the current program director, Dr. Patricia (P.J.) Simpson-Haidaris, and the founding program director, Dr. Nina Schor. Each student also chooses a mentor and research advisor to provide expertise and guidance throughout the research process. 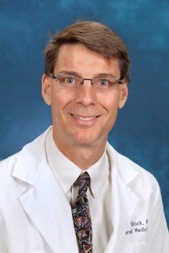 Dr. Thomas Pearson (Professor of Public Health Sciences; Senior Associate Dean for Clinical Research; and Director of the Clinical and Translational Science Institute) serves as both mentor and research advisor to Dr. Geba. “The part that I enjoy the most in working with him is the balance between allowing me to work independently – to use my creative side to solve the issues that arise in [my] project – but also providing a lot of support. [He is] there as a mentor to guide me and to make sure that I move forward at a steady pace,” she said. In addition to the support from faculty members in the TBS program, Dr. Geba says students receive assistance from individuals within the broader Medical Center community, including those affiliated with the Clinical and Translational Science Institute. Dr. Geba also reaches out to the Greater Rochester community to recruit patients for her clinical trial. She frequently interacts with clinicians associated with the Greater Rochester Practice-Based Research Network. Dr. Geba’s primary research interest is type 2 diabetes – a lifelong, chronic disease characterized by high blood glucose levels. The statistics pertaining to diabetes are staggering. According to the American Diabetes Association, more than 25 million children and adults in the United States have diabetes, and an estimated 90-95 percent of these individuals have type 2 diabetes. Nearly 19 million people have been diagnosed with diabetes, while seven million others who have the disease are undiagnosed. Finally, an astounding 79 million people are in the pre-diabetes stage. “It is very easy to say one quarter of the diabetics are undiagnosed, but as an absolute number, that’s seven million people who are around us who have diabetes and are not aware, don’t start treatment, are not advised to have a lifestyle change that could have such a great impact on their life,” Dr. Geba said. According to Dr. Geba, an even more disturbing fact is that more young people are being diagnosed with type 2 diabetes. Dr. Geba has been involved with the comparative effectiveness study since its concept phase. She is assisting with the design of the study and will be involved with its implementation – the clinical trial. It is rare that a student has the opportunity to design a clinical trial. Dr. Geba’s interest in studying type 2 diabetes began when she was a medical school student, and has grown deeper for personal reasons. While earning her MD, Dr. Geba initially planned to pursue a career in surgery. She often interacted with patients in the surgery clinic; many of these individuals were diagnosed with diabetes and had undergone toe amputations. Dr. Geba has also experienced type 2 diabetes on a personal level: two years ago, her mother was diagnosed with the disease. Dr. Geba says because of this, she now has a better understanding of the burden of the disease on patients and their families, as well as how important it is to educate patients in how to manage the disease. Without the use of glucose-lowering drugs, Dr. Geba’s mother was able to lower her blood glucose to a normal level. Dr. Geba says this is living proof that education and lifestyle changes can make a difference in managing type 2 diabetes. Dr. Geba says the TBS program has changed her life. She attributes her success to the dedicated and supportive faculty members – her role models – who she says have helped shape her career path and the individual she has become. After earning her PhD, she plans to continue doing research and to pursue a career in academia, with the hopes of working as a mentor. Greasing the wheels of managing overweight and obesity with omega-3 fatty acids. Golub N, Geba D, Mousa SA, Williams G, Block RC. Med Hypotheses. 2011 Dec;77(6):1114-20. Epub 2011 Oct 6. Identification of those at risk for diabetes mellitus can comparative effectiveness research provide the answer? Am J Prev Med. 2011 Jan;40(1):101-3. No abstract available. Jennifer Cialone, a fourth-year medical student, says her experience with the CTSI has been instrumental in shaping her future in medicine. The TL1 Predoctoral Training Program trainee spent a year doing research on Juvenile Batten disease, and is now applying to residencies. Cialone says that by immersing herself in the opportunities of her year-out experience, she realized her passion for pediatric neurology and has been inspired to pursue a career in academic medicine. The CTSI’s TL1 Predoctoral Training Program supports medical students interested in a year-out experience of mentored research in clinical or translational science. Trainees receive a stipend, and their mentors receive funds to help support research activities. 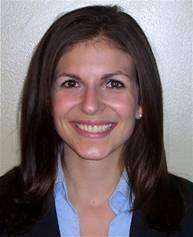 Cialone was selected for the program in 2010, between her third and fourth year of medical school. She says she was inspired to apply for the award after doing research as a Molecular and Cellular Biology major at Vanderbilt University, where she received her Bachelor of Science degree. Click here for a video of Cialone explaining how she became involved with the CTSI. Cialone’s project, entitled, “A Phase II, Randomized, Placebo Controlled Trial of the Safety & Tolerability of Mycophenolate (CellCept) in Children with Juvenile Neuronal Ceroid Lipofuscinosis (JNCL),” focused on how to measure different aspects of Juvenile Batten disease in patients. Children are usually diagnosed with this neurodegenerative disease between the ages of four and eight. The disease is a very rare, recessively inherited genetic condition. From the onset to the end of the disease, children progressively lose their ability to see, move, and reason. Cialone compares the cognitive decline to dementia. Unfortunately, the disease is terminal; most patients do not survive late adolescence or young adulthood. Click here for a video of Cialone explaining Juvenile Batten disease. Cialone and her colleagues use a rating scale developed several years ago to quantify the progression of the disease. “Since we see these kids over the years multiple times, we’ve been able to use it sort of as a natural history type of tool, and we hope to use it as an outcomes measurement for clinical trials,” Cialone said. The main focus of Cialone’s project was to see if it would be possible to administer the tool using telemedicine. The goal is to treat patients remotely so families do not need to travel long distances to clinical sites. Cialone says the tool worked successfully this way, and that telemedicine is being used more and more frequently for clinical diagnoses. Click here for a video of Cialone explaining her project. Cialone also participated in the first controlled clinical trial for Juvenile Batten disease, which began in the summer of 2011 at the University of Rochester Medical Center. The trial will investigate whether an immunosuppressant drug called mycophenolate mofetil is safe for children with Batten disease and if it can slow or halt the progression of the disease. TL1 trainees work with a mentor who specializes in their field of study. Cialone’s mentor, Dr. Jonathan Mink, Chair of the Pediatric Neurology Unit, specializes in movement disorders starting in childhood. Cialone says that while working on her project, Dr. Mink allowed her to grow at her own pace and take the work where she wanted it to go. Other members of the team also had a positive impact on Cialone’s experience. They include Dr. Erika Augustine (a pediatric neurologist and co-principal investigator of the clinical trial), Dr. Jennifer Kwon (a pediatric neurologist), Dr. Heather Adams (a pediatric neuropsychologist), Nicole Newhouse (a project coordinator), Amy Vierhile (a pediatric nurse practitioner), and Dr. Frederick Marshall (an adult neurologist and principal investigator of the clinical trial), whose expertise in dementia was critical to the work the team has done in Batten disease. Click here for a video of Cialone explaining the benefits of collaboration. Cialone’s passion for pediatric neurology is not purely intellectual; she says spending a year working with children diagnosed with Batten disease was emotional. A first-hand look at the courage and resiliency of her young patients inspired her to want to do more to help them. Her first exposure to the disease was at the start of her research year when she attended the Batten Disease Support and Research Association (BDSRA) conference. She participated in a support group meeting, where children, parents, and researchers talked about current research, as well as the emotional aspects of the disease. Cialone says she is amazed by the courage of the parents and the resiliency of the children. She says the most recent conference she attended was particularly emotional because she had spent the year learning about the disease and working closely with the children. Click here for a video of Cialone explaining the emotional impact her patients have had on her. In addition to the BDSRA conference, Cialone was able to attend other research conferences with the support of the CTSI. She says she especially values her experience at the 2011 Clinical and Translational Research and Education Meeting in Washington, D.C. because she was exposed to research in many different fields, not just pediatric neurology. She also stressed how valuable she found the experience of actually doing the research. Cialone says she appreciated the talks and seminars sponsored by the CTSI, as well as the freedom to choose which to attend. Click here for a video of Cialone explaining how she took advantage of opportunities offered through the CTSI. Cialone says participating in the TL1 Program helped her focus her future ambitions. After being exposed to both the clinical and research sides of the field, she realized she would like to blend seeing patients with doing research and teaching. Therefore, she is now pursuing a career in academic medicine. Working with her colleagues and seeing what their lives are like helped her realize that such a career is fulfilling and would make her happy. “I think this experience with CTSI is absolutely a huge reason for why I’m going into this residency and why I have these ideals of academic medicine because I found that it was very do-able,” she said. Currently, Cialone is interviewing for residency positions in pediatric neurology. The program is a combination of pediatrics training (two years) and neurology training (three years). Cialone says before participating in the TL1 Program, she knew she had an interest in pediatric neurology (she was exposed to the field during her second-year neuroscience course, and also during her third-year clerkships), but she wasn’t ready to commit to it for residency. Click here for a video of Cialone explaining how her experience as a TL1 trainee influenced her career ambitions. What are Shared Resource Laboratories? The Shared Resource Laboratories consist of a series of technologies, resources, and staff members that support investigators with their research. High-end tools, including the laser capture microdissection instrument in the Confocal and Conventional Microscopy Core; the Hi-Seq 2500 in the Rochester Genomics Center; and an analytical flow cytometer, image stream, cell sorters, and a CyTOF in the Flow Cytometry Core are used by hundreds of investigators every day. The Confocal and Conventional Microscopy Core assists researchers in attaining high quality imaging data through advanced microscopy instruments. The laser capture microdissection instrument, for instance, allows researchers to outline an individual cell in a sample, remove the cell from the sample using a UV laser, and process the cell for RNA, DNA, or proteomic profiles. The instrument can identify tissue using bright field microscopy or florescence microscopy. Dr. Linda Callahan, Director of the Confocal and Conventional Microscopy Core, says investigators use the instrument to understand where cells are within affected tissue. “[We can] dissect out different cell types from different tissues so we know exactly what the profiles are,” she said. The Rochester Genomics Research Center supports all aspects of genomics research at the University of Rochester, including studies in viral genome, HIV, microbiome, and general RNA expression. The Illumina Hi-Seq 2500 generates millions of sequenced data points that researchers can map to a human reference genome. Comparing this genome to disease-specific mutations and gene abnormalities is effective in the diagnosis and treatment of disease. The Genomic Research Center collaborates with the Center for Integrated Research Computing on the UR River Campus, using the BlueHive and BlueGene Clusters to conduct data analysis. The Flow Cytometry Core is a full-service facility offering a range of top-of-the-line digital flow cytometers, an image stream, cell sorters, and a CyTOF mass cytometer. The analytical flow cytometer measures the physical and biochemical characteristics of cells both on the surface of cells and intercellularly. Cells identified by an analytical flow cytometer are represented as dots on a plot. In 1979, University of Rochester investigator Leon Wheeless published a paper that sought to combine the principles of flow cytometry with the ability to image and visualize the entire cell and its processes. The technical limitations of the time prevented the project from moving forward, but in the late 2000’s, Amnis, a company specializing in flow cytometry, made the idea possible when it released the Amnis Image Stream. The University acquired the instrument in 2006. The technology of the analytical flow cytometer was combined with the technology developed to make inkjet printers to create a cell sorter: a tool that separates and purifies cells based on their surface characteristics. The cells moving through the sorter appear to be a solid stream, but they are actually a series of droplets. The cells can then be returned to the researcher at 99% purity for use in downstream work (culture, genomics, proteomics, etc.). The Flow Cytometry Core is also home to the CyTOF, an instrument that combines the principles of flow cytometry with a detector from a mass spectrometer. This hybrid tool measures highly dimensional data to screen and characterize detailed intercellular pathways. URMC’s CyTOF was the seventh installed at a research institution in the United States. URMC acquired the instrument through a partnership within the UNYTE Translational Research Network and it is supported by an NIH shared instrumentation grant. How can researchers access the services? To schedule an initial consultation, investigators can call or e-mail the directors of the core facilities. During the consultation, the directors describe the correct tools investigators can use for their research, and the best practices for doing their experiments. Researchers are assisted through every step of the process, including sample preparation, utilizing the instruments to analyze the samples, interpreting the data, and then transforming the outcomes into a publishable form. “We drive the cost as low as possible for each investigator,” Dr. Bushnell says. Rates for the services, which are subsidized by the University, are calculated based on cost recovery. Since individual resources have different pricing structures, Dr. Bushnell recommends investigators contact the core directors or visit the Shared Resources website. Where can researchers find more information? Click here for a video of Dr. Bushnell explaining the purpose of and how to use the Shared Resource Laboratories. Dr. Robert Block, Assistant Professor in the Epidemiology Division of the Department of Public Health Sciences, is a prime example of how researchers and clinicians can use a variety of CTSI funding opportunities to move their projects forward. 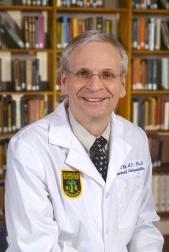 Dr. Block is a 2008 Novel Methodologies Awardee (Project: “Potent Lipid Mediator Measurement Methodology,” with Dr. Steve Georas), a 2007 KL2 Scholar (Project: “The Role of Fatty Acids and their Metabolites in the Pathophysiology of Sudden Cardiac Death”), a 2007 UNYTE Pilot Funding Awardee (Project: “Potent Lipid Mediators and Ischemic Heart Disease,” with Dr. Shaker Mousa and Dr. Thomas Brenna), and a 2006 Laboratory Support Center Awardee (Project: “15-Epi-lipoxin in Ischemic Cardiomyopathy”). Dr. Block says the funding support he has received from the CTSI and UNYTE has made much of his research possible. A preventive cardiologist, Dr. Block specializes in the care of patients with hyperlipidemia, or high blood cholesterol levels. His expertise includes the diagnosis and treatment of patients with complex lipid disorders and familial cholesterol diseases. His research focuses on how nutrition affects the risk of cardiovascular disease, especially how fatty acids and their metabolites can impact heart disease risk (particularly in patients with coronary artery disease). Dr. Block’s interest in translational research was fostered under the guidance of his mentor, Dr. Thomas Pearson, Director of the CTSI. 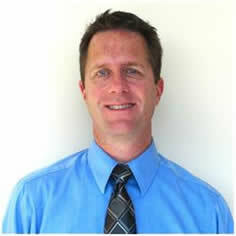 Dr. Block has also partnered with researchers from other institutions through the UNYTE Translational Research Network. UNYTE, a component of the CTSI, serves as a national model of research collaboration and includes 17 of the region’s premier biomedical research institutions. Dr. Block became its Managing Co-Director in 2010. He says UNYTE’s impact on medical community is invaluable. Dr. Block says, as a clinician, it is beneficial for him to work with individuals who have different areas of focus; he says biochemists and laboratory scientists offer unique points of view, which are essential in recognizing the true value and impact of his research. “Much of the time, it simply takes a team approach to think differently about things and to make adequate use of other people’s expertise,” he said. He also stressed the value of UNYTE for students, trainees, and young faculty members. Dr. Block received support through a UNYTE collaborative award with Shaker Mousa, PhD, at the Albany College of Pharmacy, and Thomas Brenna, PhD, at Cornell University. The project, which began in 2007, investigated how fatty acids and their metabolites affect cardiovascular disease through angiogenesis, or the development of new blood vessels. 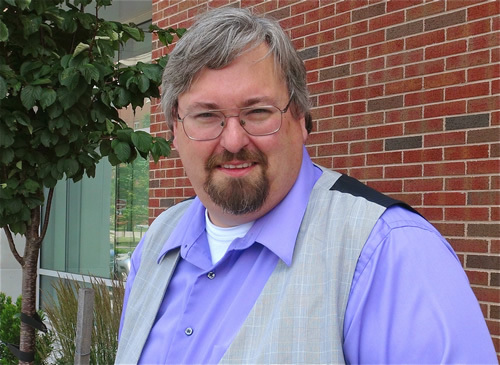 Dr. Block and his colleagues found that some fatty acid metabolites increase angiogenesis. “Even though it sounds like a great thing to have new blood vessels in your heart, for example, it turns out that much of the data supports angiogenesis to be a problem in increasing the risk of heart attack and stroke,” Dr. Block said. In addition to this study, Dr. Block is also investigating aspirin resistance in patients with diabetes. Aspirin helps prevent cardiovascular disease, but because diabetics do not have a normal response to aspirin, they do not experience its beneficial effects. As a result, they are at high risk for heart attack and stroke. Dr. Block is again collaborating with Dr. Mousa and Dr. Brenna to determine if fish oil enhances the effects of aspirin. This study is funded through an R21 from the NIH. It utilizes the URMC Clinical Research Center and is expected to be completed by the end of May 2011. Dr. Block is also investigating the role omega-3 fatty acids (particularly docosahexaenoic acid, or DHA) have on weight loss. He says there are a few small studies that suggest people may lose weight when they eat more fish. There is also data showing that DHA has effects on something like serotonin in the brain, which regulates people’s appetites. Therefore, DHA could contribute to how people perceive food and how they determine what they want to eat. Dr. Block says this is a new way of thinking, but it is something he plans to explore. How will this research impact people’s every day heart health? Dr. Block says although people often think that how much they eat is the most important indicator of their wellbeing, he has discovered that what people eat and how the body processes it is more telling. Dr. Block is now exploring new therapies based on the fatty acids people ingest, as well as medications used in preventive cardiology, to determine how they affect fatty acid metabolism. With blood vessel disease currently the number one cause of death in the United States and the world, Dr. Block says the long term goal of his studies is to reduce people’s risk for these diseases, and to improve the prognosis for patients who have already been diagnosed. Why are You Drawn to This Type of Research? Dr. Block says in today’s world of expensive medications, it would be ideal to rely on a behavioral area of focus when treating certain conditions. Therapies based on what people eat and how much they exercise would eliminate excessive reliance on medications, which often have side effects. He is working with Dr. Geoffrey Williams in the Center for Community Health to try to improve people’s lifestyle factors, with the goal of lowering cholesterol and reducing the risk of cardiovascular disease.